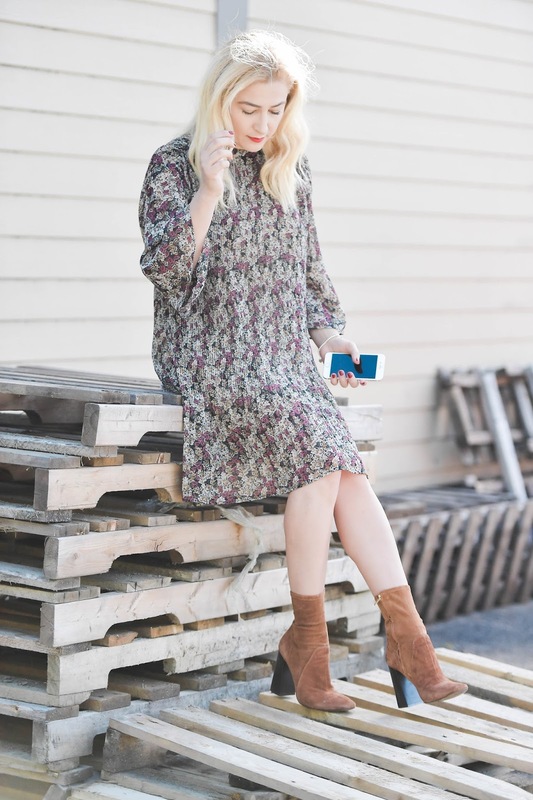 Let's just admit that fall florals never get boring, am I right? September is probably my favorite month because it's not too hot and not too cool. It's the prefect temperature where dresses and booties without stockings are perfect and the changing of colours in the leaves begin. 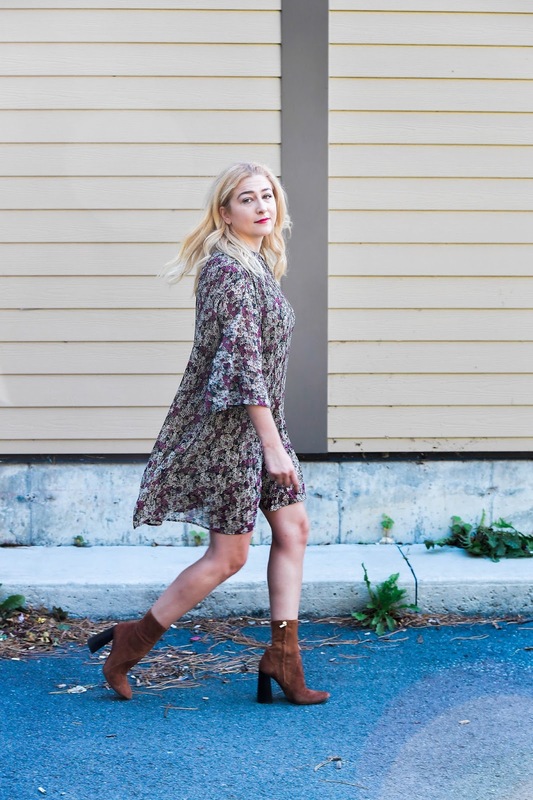 I've linked a few of my fall floral dresses. So, welcome fall in all it's beauty. On another note, I've recently started a soft peel mask that exfoliates, boosts radiance and resurfaces the skin from Jouviance. It instantly brightens and renews skin radiance and texture. I love it so much I've already used it twice in 3 days and I've been using the Soft Peel Lotion as well! An effective at-home treatment without irritation, perfect for the fall and winter months and the price is very reasonable. Ladies, you need to try it. These boots are so cute!! Love the colour and heel shape!